Representatives of the Empire State Building and the National Association of Broadcasters have pressed the Federal Communications Commission to reimburse broadcasters for expenses they incur in the lead-up to the airwaves auction, according to a filing yesterday. On Jan. 29, 2016, those representatives met with officials of the Incentive Auction Task Force, Office of General Counsel and the Media Bureau to discuss reimbursement of broadcasters’ eligible expenses incurred prior to but in connection with the spectrum repack. 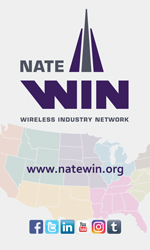 According to their filing, they discussed some of the details involved in preparing a complex multi-station transmission tower for the repack, and noted that providing reimbursement of eligible expenses incurred prior to the commencement of the post-auction spectrum repack period would serve the public interest by reducing the overall cost of reimbursement; and making more efficient use of planning, manufacturing, and tower crew resources. How reimbursement of bidders’ expenses would impact the availability of limited tower crews to perform the work safely was not detailed in the one page filing.